This page does use Amazon affiliate links which means when you purchase a journal from one of my links I get a small percentage. This is at no cost to you but does help maintain this site. Thank you! 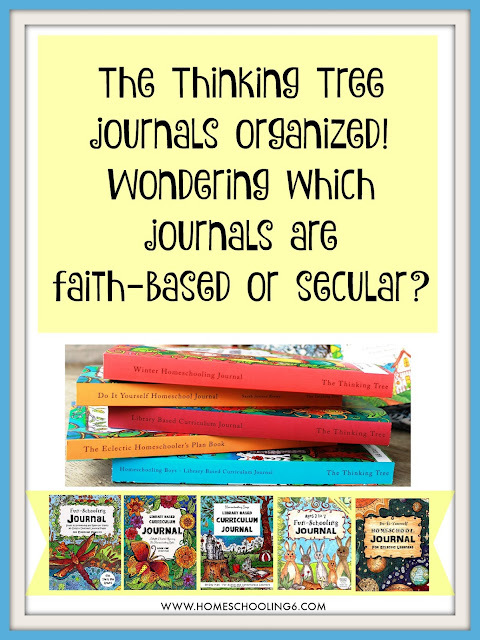 Since I started blogging about The Thinking Tree journals I have readers ask which journal is right for them or which ones are secular and/or have Christian content. So I thought I’d put a page together to help y’all decide. This way when I receive an email it will be much easier to refer someone to this post. Wondering where to start? You might want to check out my blog post on the Starter Packs for ages 5-9 and Starter Pack for 10+. Feel free to swap journals out. If you prefer a different spelling or writing or main journals, find another one, using the list below. 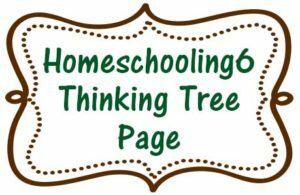 Many of the Thinking Tree journals will overlap and/or are multi grade/age, meaning some can actually be used for ages 7-14+, so use the Thinking Tree Levels as a guide. For example, the 10 Subject Portfolio was originally created for ages 9-13 (3rd grade +) Level B2 but a high school student can use it as well making it B1-C2 Level. If a journal is marked with a “+” like B1+ it means all levels B1 and beyond. Most of the “Main” Curriculum Journals (the ones with 300+ pages) work best if your child can read at a 2nd Grade Level or higher. One journal can usually be used with children ages 7-17! This is possible by choosing books at their reading/grade level. I have tried my best to place the journals accordingly. Please always use the “Look Inside” that Amazon provides before purchasing to make sure it’s the correct journal you wish to purchase. 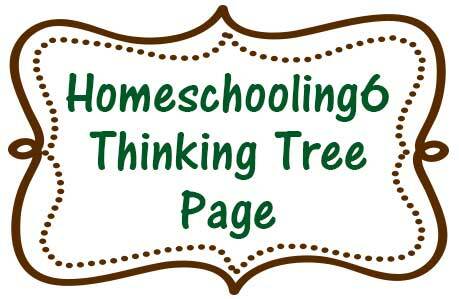 Once a week I have The Thinking Tree Thursday Spotlight where I feature a Thinking Tree book so be sure to read those and visit my Helpful Links page. Watch my YouTube Videos too =) and visit my Thinking Tree Pinterest Board! Go straight to The Thinking Tree Amazon Page! At the bottom of this page see what we use to color our beautiful journals with! This is a work in progress. I’ll add journals as I have time, plus Sarah is ALWAYS creating more amazing journals. Enjoy and have fun, these are amazing journals and I absolutely love them! Click on the graphic to get your free Mom’s Handbook! Mommy Journals and books, I wrote a review HERE and you can see more of how I use my mom journal HERE. Read the differences between the Mommy Journals HERE. 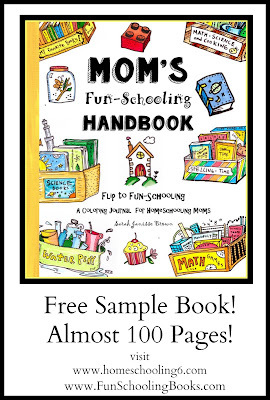 Mom’s Fun-Schooling Handbook and Mom School review HERE. Cafe Coloring book and Cafe Calendar review HERE and Video Review. See more mom journals via my Youtube Mom Journals Playlist! Devotional Coloring Books – Read my Review and another post about HERE. And a video review. Compare all three portfolios in this VIDEO. CORE/MAIN JOURNALS -Christian based Journals and workbooks: Journals that have some Bible verses or Bible pictures. As always use the “Look Inside” to see exactly what you are purchasing. Read about the differences between the 6th-8th Grade Fun-Schooling journals. What’s the difference between the 6th-8th Grade Fun-Schooling journals and the 3rd-5th Grade. CORE/MAIN JOURNALS -Journals with no scripture but has space for a prayer list and/or an inspirational quote. You can read a little more about the Eclectic and Hyper Active Journals HERE. Teen Journal (steampunk ~color yourself cover) Buy the download HERE! CORE/MAIN JOURNALS -Secular Journals: I put the Asperger’s Syndrome, All About Horses, and the “Active Boys” journal here because they don’t include a prayer list but does have a space for your child to, “Copy a Verse or Quote”. CORE/MAIN JOURNALS (Levels B1-C1) -Secular Library Based Journals. You can read my Library Based Journal Review HERE. Supplemental Journals: These journals can supplement any curricula. Time of World History and Picturing the Past Buy Picturing the Pastt download version too! Science – See ALL Science Journals with links to reviews HERE. CORE/MAIN -Younger Journals: These are adorable. I wrote a review HERE (video review included)about the first 4 journals below. Review of Teach Your Child 100 Words to Read, Write, Spell, & Draw. Learn more about The Littlest Math Book HERE. 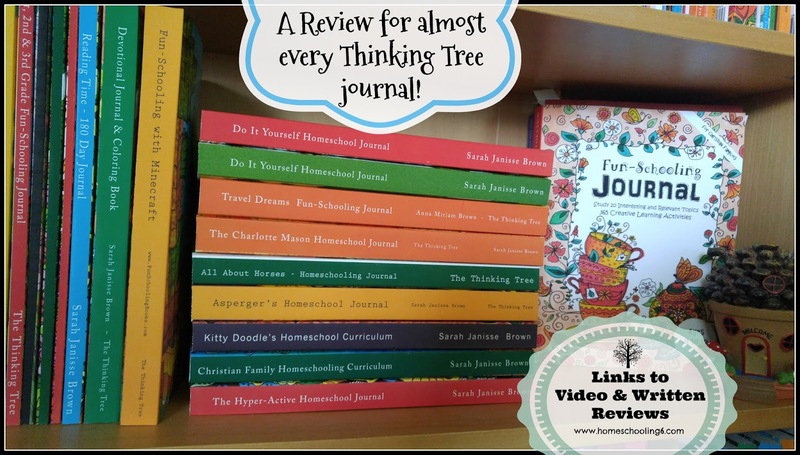 Review for My First Fun Schooling for Tree Climbers & Fort Builders and Laura & Leah’s Fun-Schooling Journals (video reviews included). Fun-Schooling Minecraft Jr. Curriculum Journal B1 (I’d say 2nd-4th or 5th) Great for struggling writers because it has less writing than the one for older students. Just my thoughts. Minecraft Journal in Color PDF Format!!! Level A2 are in their first 2 or 3 years of learning to read. Level C – If they can pick up an encyclopedia or the Bible, and just read it. Level C2 in the comments. Strong Readers, High-school Level Spelling Skills, Good Understanding of Proper Grammar. Family Journals & Coloring Books: Some of these journals are meant to be shared with someone like a sister or dad depending on the journal. The Dad Time Journal has Bible pages. You can read my review of Favorite Things HERE. Books by The Thinking Tree 🙂 Read my review of The World’s Most Beautiful Horse. Dyslexia Games Series A~ Peek inside via YouTube. What we use to color in our beautiful Journals! I absolutely love the Gelly Roll gel pens. You can see them in action here! I love the Derwent coloring pencils for water coloring and the Prismacolor pencils for dry blending and coloring. Those are my two top professional pics and Amazon has them at a great price. I still use my crayons and markers. The Ultimate Crayon Case from Crayola is great. I love that I have so many colors to choose from all in one container. Fun tools to use with your coloring books. I am having fun learning how to blend with different art supplies. I especially like the water brushes because they are very portable.